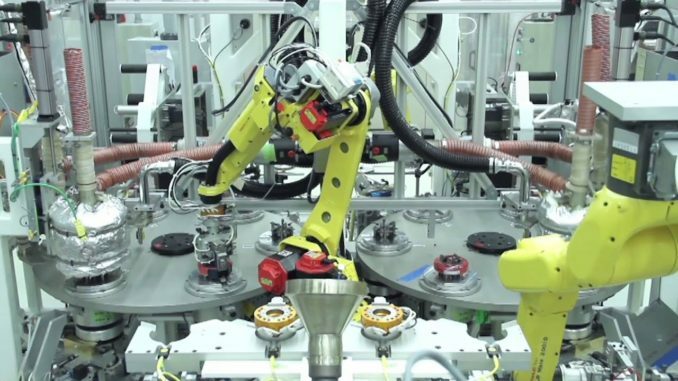 Collaborative robots have evened the manufacturing playing field. By making automation accessible to small and medium sized companies, they have given them a fighting chance when it comes to competing in industries that are dominated by big companies. They can now enjoy the margins of scale that come with automating various processes, something that allows them to match the competitive pricing that the larger players in the market set. What is even more impressive is the fact that they can do this without compromising the quality of their products. If you are a small or medium-sized company, using collaborative robots is something that you should definitely think about. They are affordable, easy to program and install, can work alongside humans and are generally safer than traditional automation systems. In fact, it is possible to make these safe systems even safer by taking simple steps. Here are some of the things that you can do to make these robots safer to work with. When they have been properly programmed, collaborative robots can work safely alongside humans. However, depending on the tasks assigned to the robot, it can pose some mild safety risks. These are risks that can be eliminated by simply making sure that the robot has the ability to detect the presence of human beings. You can achieve this by fitting the robot with a light curtain that enables the robot to slow down the speed at which its robotic arm moves as soon as it detects that a human being is within a designated distance. Collaborative robots can do almost any task. Generally, if it is a task that a human being can do, a robot can do it too. However, in order for the robot to be able to successfully execute complex processes, the robot has to rely on complex logic. Programming for variations in an ever-changing environment can significantly increase the risks of accidents and errors. You can reduce these risks by simply assigning the robot tasks that are more repetitive. Programming the robot arm to do such tasks is easier, takes less time and safer for the human beings working with the robot. It is easier for robots to handle equipment or products that are uniform. This because irregularly shaped items may require the robot to make a number of real-time adjustments that may prove a little bit challenging for the robot. To successfully do this, the robot may also need to rely on additional sensors and imaging technology, something that then increases the risks of errors. If you want a safer working environment, you should consider using collaborative robots to perform tasks that have an element of uniformity. For example, if the task involves lifting packages, making sure that the robot handles packages that are of a uniform shape and which are to be loaded at a predictable rate, will significantly reduce the risks of accidents. When it comes to some applications, it is usually safer when a robot maintains its distance. This can be achieved by using a feature that simply restricts the robot’s operation within a certain area. For example, you can use software to define the specific area within which a robot arm can move. Going a step further by painting that area in distinct colors can improve the awareness of employees and may thus help to prevent mistakes and injuries at the workplace. You can also make a robot safer to work with human beings by simply limiting the force and power with which it operates. Doing this will be beneficial especially in cases where accidents happen. As a general rule, it is prudent to program a robot to operate with the least amount of force and power necessary to execute a task. In case an accident occurs, the extent of the damage or injury to a worker will be limited. It will significantly reduce the number of serious injuries that take place at a manufacturing plant.